(Seattle, Wash.: Jan. 8, 2010) – Jensen Maritime Consultants, Inc., a Crowley company, has been contracted to provide naval architecture and marine engineering expertise to Fairhaven Shipyard of Bellingham, Wash., for Safety of Life at Sea (SOLAS) upgrades and renovations to the Alaska Marine Highway System passenger/vehicle ferry, M/V Kennicott. The $5.5 million project kicked off in October 2009 and is scheduled for completion in February 2010. 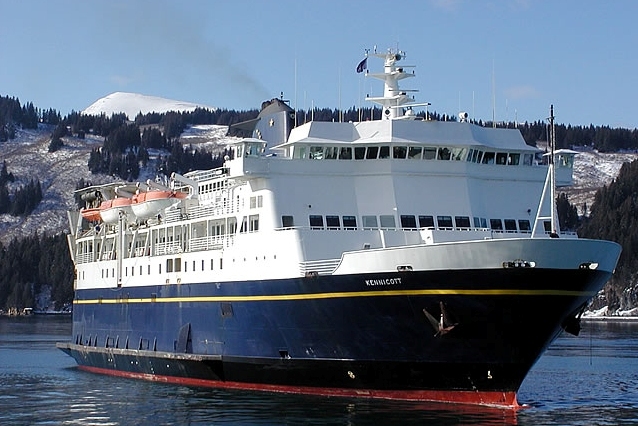 Jensen is developing detailed designs for upgrades and renovations to the vessel including modifications to the marine growth prevention system and replacement of the marine evacuation system with new inflatable slides with linking life rafts. The evacuation system upgrade requires significant modifications to both the sun and boat deck structures and support systems. Other major design work includes calculations and drawings to provide a new primary salt water cooling circuit for the ships refrigeration condensers and new high pressure, high capacity air compressors and receivers to enhance the main engine air start capability. Jensen will also provide plans for the fire sprinkler system, side port doors, exterior ADA ramps and installation of a new satellite antenna for enhanced communications and Internet services. Jensen is a naval architecture and marine engineering firm located in Seattle that offers a diverse range of services developed from experience around the world. Jensen, formerly B.F. Jensen & Associates, has been a recognized leader in the design of all types of vessels for over 40 years, including workboats and passenger and fishing vessels. The companys excellent reputation is built on a long history of successful designs and conversions with close attention to engineering basics. Jensens international on-site consulting services can provide customers with assistance anywhere in the world.